Sometimes when your neighbors get evicted they leave all the heavy stuff for the apartment managers to deal with. 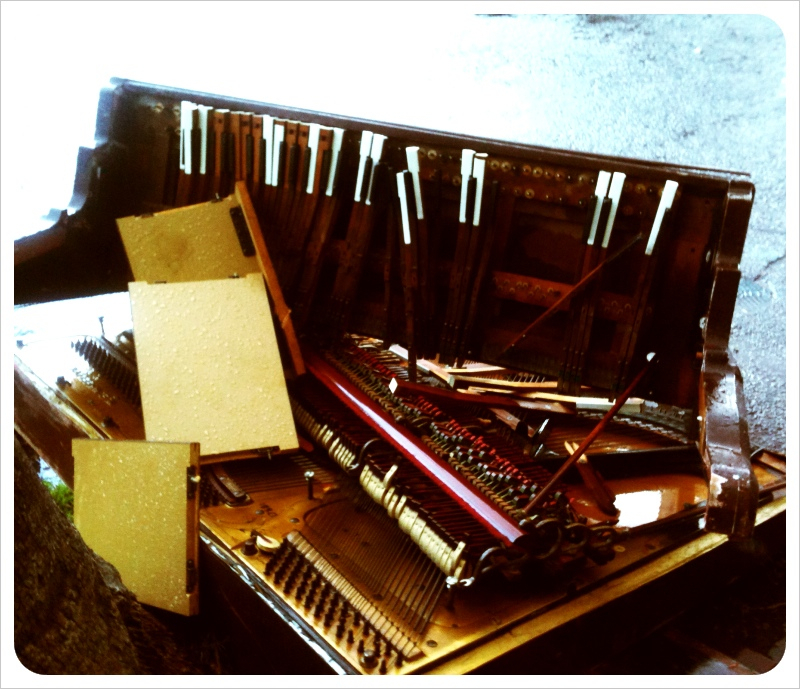 And sometimes apartment managers get angry and throw pianos down the stairs. I wanted to use the mangled keyboard part as a mantle for our (totally fake) fireplace but by the time Jeremy got home to help, it had already been stripped. Sad.